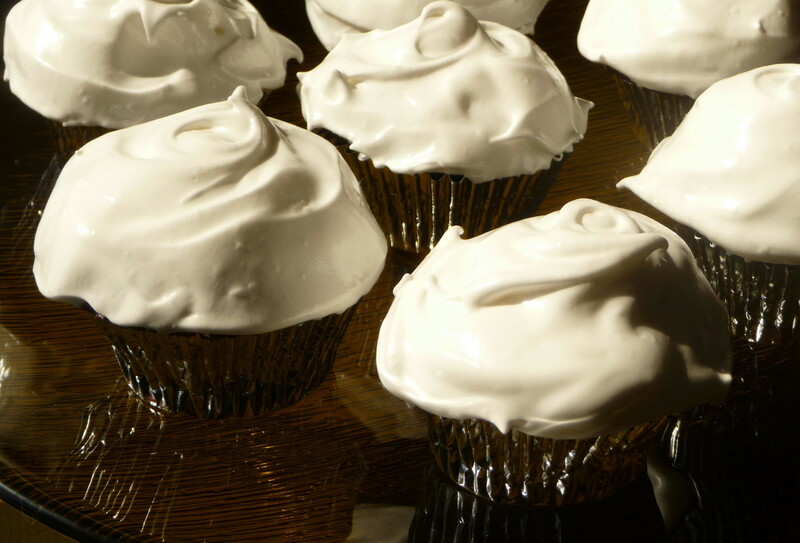 Pie v. Cupcakes – Where do you stand? Is pie truly is the new cupcake? 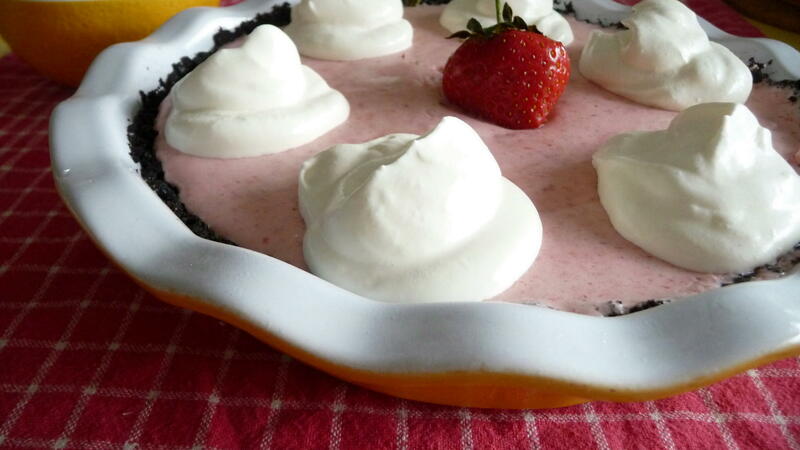 This entry was posted in Blogs and Food Writing, Cakes, Cupcake, Dessert, Pie and tagged Baking, Cupcakes, Dessert, Pie, pie v cake debate, trends. Bookmark the permalink. I guess I’m more of a pie person. My blog stats? Pies 6 vs Cupcakes 0. 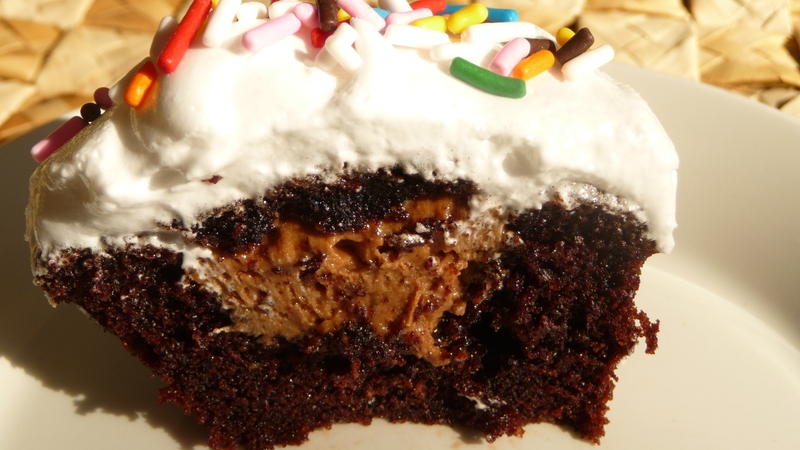 Although your chocolate-bliss cupcake looks pretty darn good! pie, definitely, but those 2Xc3 cupcakes may make me change my mind. Thanks, Michele. I just found your comment in my spam folder – sorry! 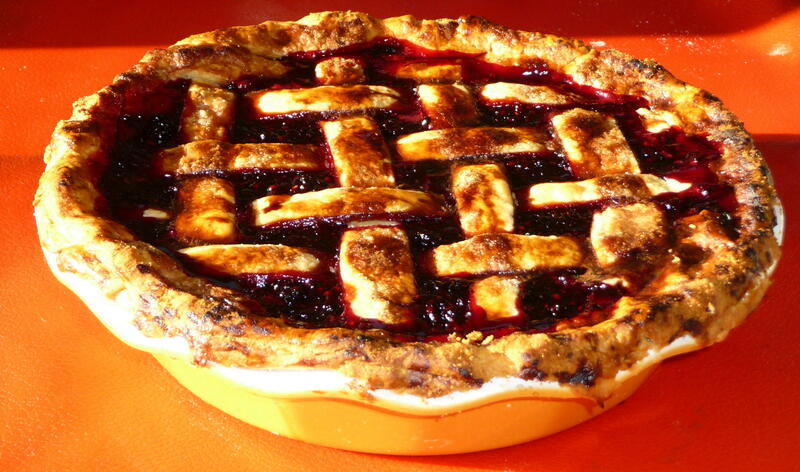 I really like the directions in the National Pie (Disaster) Day post for a dependable pie crust. If you have a food processor, it’s very easy, but the major tip is to not handle the pastry too much or it gets tough. 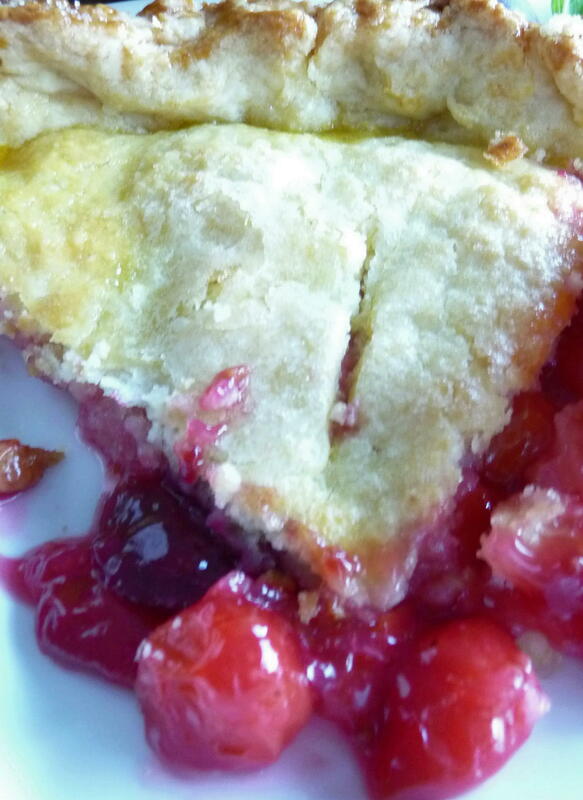 You might try open-face pies or else do a simple double crust – you just need to be careful transferring the top circle; try rolling it on parchment or waxed paper, freezing for 10 minutes, and carefully lift the paper side (up, of course) once you’ve centred the pastry on the pie. Otherwise, cookie crumb crusts are the easiest and most forgiving (e.g., graham crackers, Mr. Christie’s chocolate wafers, Oreos). I`m with Kath — I like the looks of the chocolate bliss cupcake, but that`s `cause icing is my thing — and your cupcake has 2 kinds of icing. And since pie doesn`t have icing, well, I can take it or leave it. Is it as cold on your little island as it is on ours? Thanks for your vote, Theresa. I have a major weakness for icing, too, but there is something about a good flaky crust or crunchy chocolate cookie crust with certain fruit (berries, pears, and peaches come to mind) which you can’t get in a cake. However, chocolate (with the exception of a fine chocolate cream pie!) and mocha are far better in cakes…such a dilemma. It’s ridiculously cold, and we were without power for 39 hours this weekend. Fortunately, we’d planned to go to Sooke Harbour House and missed most of the non-electric fun. How’s life on Pender? Seeing as I’ve made a gazillion cupcakes in my lifetime and never made a single pie… no. I don’t think pies are the new cupcakes! I actually know people who hate cupcakes because of what they stand for (*coughDavidcough*) but to me it’s a perfect little individual bit of sweet. I can never eat a whole slice of cake (or pie, for that matter), but I can always polish off a cupcake. Maybe it’s the mentality behind it… it’s also because you can eat a cupcake with your hands. Minimal mess – I like! Pies are a sit down with a fork deal, cupcakes are eat-’em-on-the-go! But good debate. Be interesting to see what others think. PS: I shall bring you a truckload of Horlicks! Or, y’know, some. Hi, Jax (oh, I forgot that I can’t say such things around the TFSA these days). So you’re a pie-baking virgin?!? Who knew? You must master the art form. I’m not sure what a cupcake represents, other than something which might be a muffin or even a Yorkshire pudding in shape, usually with icing, and, if they’re really good, a creamy filling. Self-contained, individual, and portable – you’re right, that is what makes them exceptional, despite the trendiness. I will defend our rights to choose cupcakes or pies in our democratic food blogosphere! Where do you stand on hand-pies? (Pies: Hand-Pies ~ Cakes: Cupcakes) Maybe that’s going to be the trend with legs…. Thanks for the offer of the load o’ Horlick’s (maybe you can track down that elusive malt extract for my oaty crisps, instead?!?). Hi, Michele. Thanks for your vote and comment! I think lemon extract (or orange or other citrus) would work, as would almond (pure extract, as I’m sure you’d use, rather than the synthetic – it is very artificial, as these things go) or pure vanilla. You could go for a mocha twist, with espresso powder, but Trevor might not be of caffeine-consuming age yet. Though kids drink lots of Coke, I’m sure your son doesn’t. Of course, you could do a chocolate icing but that would be just too much for some, but not for me. Thanks for the idea of question corner. I like that as a possible new feature. The extract question is a good one, and I could post about making vanilla extract at home (hint vanilla beans submerged in either vodka or bourbon and left for several months – pretty easy, no?). I have never heard nor seen a Cherpumple before. Thank you for that. It’s a pretty funny sight. I love cupcakes but am ready for that trend to be over so I am down with pies being the new cupcake. Thanks for the info. I don’t know if the names are correct. But I’m sure that my sweet tooth is rocking with all these sweetness. 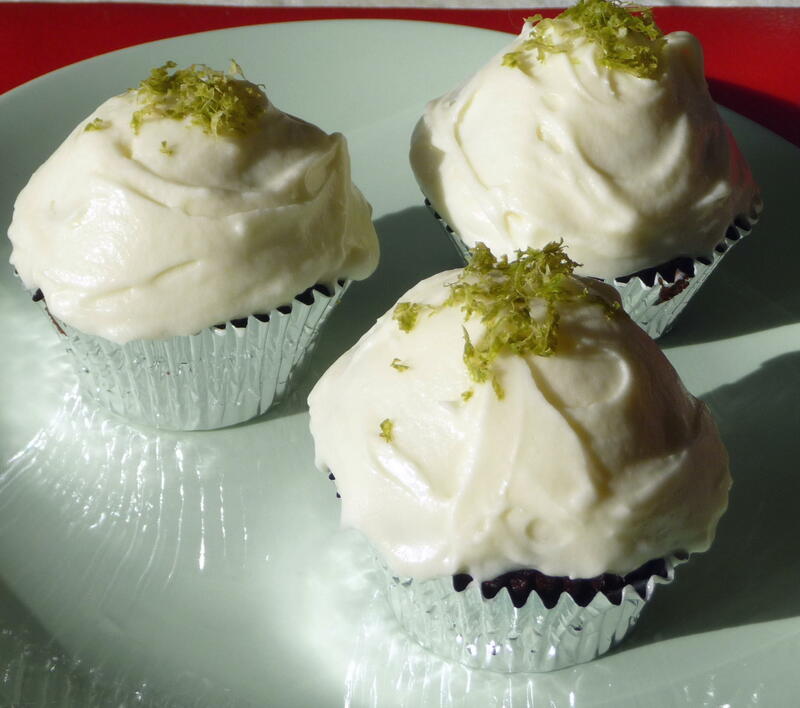 I’d love to try your cocoa cayenne cupcakes. I have to admit that I’m not much of a cupcake person. I prefer a regular-sized cake. Although cupcakes look pretty, but there’s something about the higher ratio of frosting to cake that makes me turn it away. I like making pies. There’s this local coconut pie I’d like to try to make myself. I guess you have a foot in both camps, as I do (even though I do like the higher ratio of frosting: cake). Your local coconut pie sounds enticing. I’ll look forward to reading about it on your blog! Facile à répondre : j’en ai marre des cupcakes petites choses trop trendy qui vont retomber comme un soufflé ; pour moi rien de plus vrai qu’une bonne tarte !!! Tu viens en France de temps en temps , à paris? Ici il fait froid mais rien surement à coté de chez toi !! Salut, Pierre. Tu as raison: une bonne tarte n’est jamais trendy! Oui, je vais à Paris parfois, mais je viens de faire une visite en angleterre. La prochaine fois que je vais aller à Paris, je vais te notifier! Est-ce que tu viens au Canada ou aux Etats-Unis de temps en temps, au côte ouest? Il ne fait pas trop froid chez nous, car les Îles du Golfe ont le climat méditerranéen “cool-été”, comme au nord-ouest pacifique aux Etats-Unis. Il fait du soleil et il est 11 degres aujourd’hui! Notre climat me rapelle le climat à Paris – pas beaucoup de neige – mais il pleut, il pleut, et il pleut en hiver! Thanks, Ewa. I see you are 100% in the pie camp! My theory, however, is that a bad pie is usually much worse than a bad cake (or cupcake), so I sometimes won’t risk the disappointment of canned filling in an industrial-strength crust. I wonder if tartelettes and the so-called “hand-pies” are the next trend to rival cupcakes?